This morning I almost missed yoga because of Bruce. “Glory Days” was rocking the kitchen and I was dancing around in my yoga pants when my wife Monica walked in with a cup of coffee in her hand and said, “You’re going to be late.” I grabbed my keys, jumped in the car, and drove off fast with the beat in my heart and the refrain in my head: “Glory days, glory days, glory days”. Everyone else had already arrived when I got to yoga; I unrolled my mat, and sat down cross-legged just in time for the first “Om.” We took a deep breath in and let it out slow, but Bruce was still there, through a spinal twist, a downward-facing dog, right up to the final meditation. I don’t like to sit around “talking about the old times” and I’m not a crazy Asbury Park-haunting stalker, but somehow Bruce keeps hanging around, like a cousin you don’t see much, or an old boyfriend who pops up on Facebook periodically. In August I went with Monica and my son Cody to a Saturday night baseball game followed by Springsteen fireworks. The sky lit up over the ballfield, and Bruce was singing, “roll down the window and let the wind blow back your hair,” and the magic of the night welled up in my heart. Rockets exploded, sparks showered down over the diamond, and the feeling filled me up like crying. Just recently a friend sent me an MP3 of a tape I made with Cody in 1985 when he was just a little boy. Cody was living with his dad then, and I was visiting him in Boston. I had just sent him Born in the U.S.A., and as a result, he’d written his own lyrics for Bruce’s “My Home Town” and so we recorded this new version together. Now more than thirty years later, sitting at my desk in Providence, Rhode Island, I listened again to Cody’s high, sweet, child’s voice. “I’m going to sing a song about Bruce to you. I love him, this is my first song. 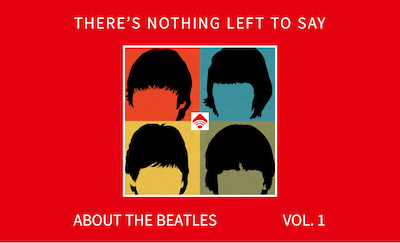 and I heard it, and I loved it, and I sang along. Cody loved Bruce’s music. And in his own way, he was singing along. I wondered why Cody had chosen “My Home Town.” The Boston suburb where he was living then didn’t seem to me like anyone’s hometown and I certainly never thought it was Cody’s. Yet something about the song had touched his little boy heart. Then I listened to Bruce sing, “I’d sit on his lap in that big old Buick and steer as we drove through town” and I realized that for Cody the song wasn’t about the town; it was about his dad. “We went down to the river, and into the river we’d dive, oh down to the river we’d ride” is another Bruce line. I wasn’t pregnant then, like Mary, but I was nineteen, the fields were green. We were driving. And the river beckoned. It was deep, it was moving fast, there were tree branches caught in the current, and hidden rocks below, but we jumped in anyway, and swam for our lives. We wanted to live, and we did. We fought for the Revolution and almost got shot. We drove West and lived in a mountain shack. We worked in factories and panned for gold. Cody was born. We moved back East. The river was deep. The river kept moving. All the while, there’s Bruce, still hanging around. Monica and I took Cody to see him at Fenway Park in 2003, and just last year the three of us were at Gillette Stadium to see him again. Bruce is older now, and so are we, but not too much has changed. “Glory Days” still rocks the kitchen. “Thunder Road” still makes me cry. Cody lives in his old hometown and next month his dad is coming to visit. Bruce still drives us down to the river, and we are all still singing along. Mare Davis has written lots of poems, love letters, essays, and term papers, and one dissertation. She has sung along with Phil Ochs and Holly Near, and danced in clubs to the Pointer Sisters. Today she dances to Bruce Springsteen, relaxes to Satie, and plays "Danzon #2" by Arturo Marquez every day. She reads and speaks French, studies Spanish, and practices translation. Her current project is a term paper/essay/translation/mashup on the topic of Colette’s "La Vagabonde." This is true for me too! Thanks for sharing how your life unfolded so organically with the Boss singing along every step of the way. Love your writing! Loved this! 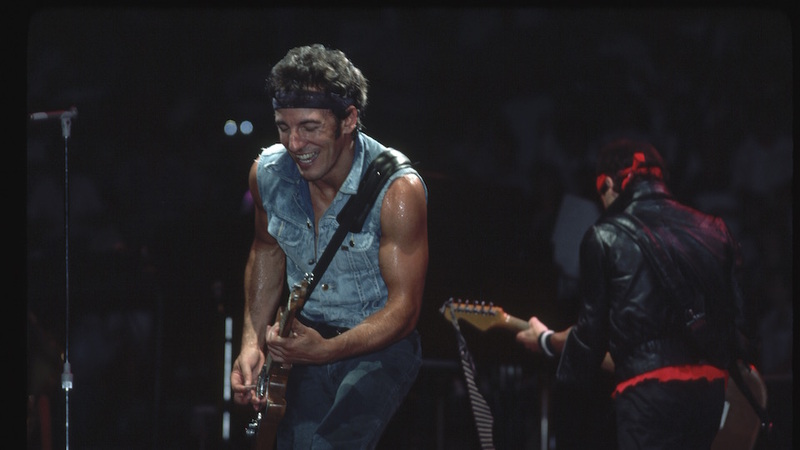 Born to Run is my Springsteen song for a few reasons: 1. The Phil Spector influence (Spector’s work is a favorite of my family) and 2. It was written for me. 😀 Or so I like to think! Loved loved loved the essay.